I have always been a Snoopy fan. When I was little, I had everything from Snoopy stuffed animals, figures, and even a phone! That’s why I am so excited to see the new Peanuts Movie with my kids! I can’t wait to take my kids to see it! I was so excited to see the trailer – it looks like the whole gang is back, but in HD! To get ready for the movie, I had to make sure my kids knew all about the Peanuts Gang and how I grew up reading their comic strips in the Sunday paper. I looked forward to Sunday mornings when it would arrive on our front steps. My mom and dad would take out their favorite sections and hand me the comics. Even before I could read, I’d scan the photos waiting on mom and dad to read them to me. And oh how excited I would be when they would have their annual Halloween and Christmas specials on TV! It was so much fun! I thought my kids should see those classic shows, so we’ve been watching them! I even made a super fun dinner that the kids LOVED using Tyson Chicken Nuggets to have before the shows began! Here’s a new recipe that the kids will love! 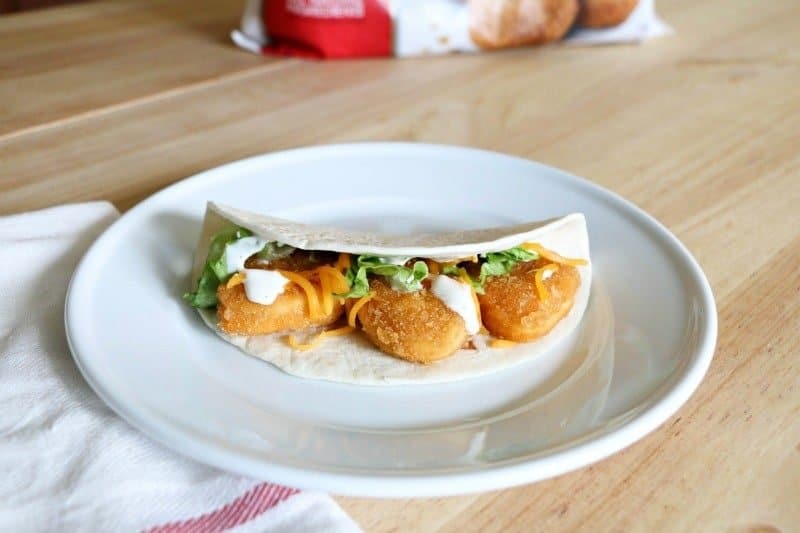 Chicken Nugget Soft Tacos! Easy to make and promises to please even the pickiest palates! 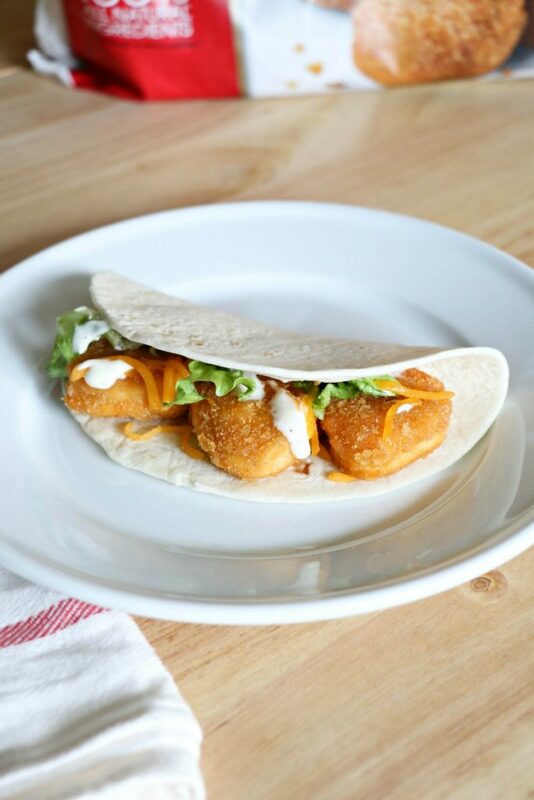 How fun are these tacos using Tyson Chicken Nuggets instead of traditional tacos?! 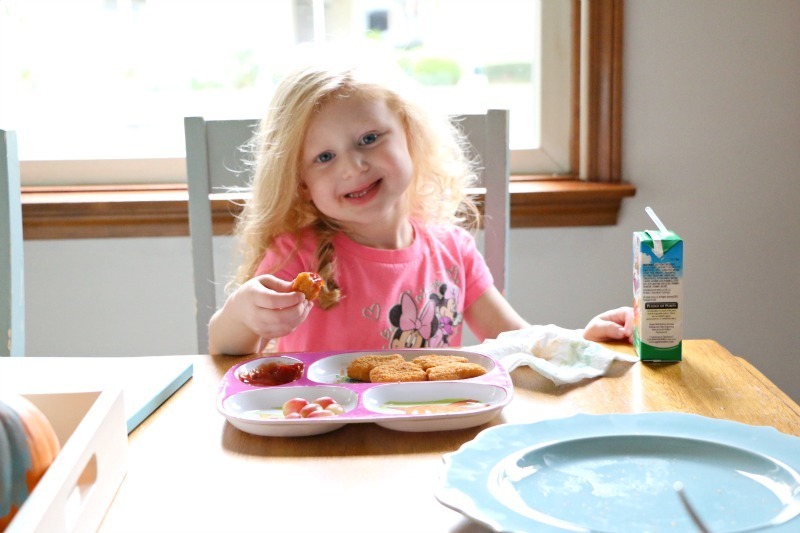 My kids love tacos and chicken nuggets, so I thought this would be a perfect fun meal! And I was right! 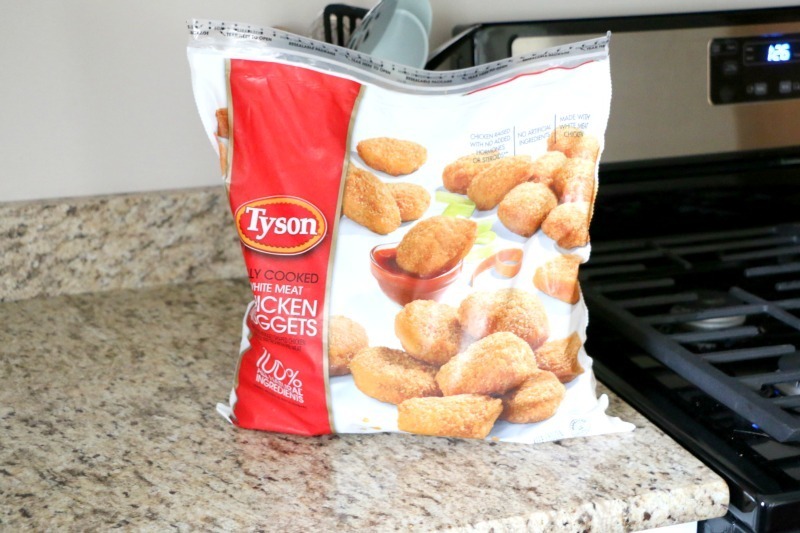 All you have to do is cook the Tyson Chicken Nuggets based on the package directions. Add a few to a small soft tortilla. Top with lettuce, cheese and ranch dressing and serve! That’s it! You can even get the really big bags of nuggets and strips at Sam’s Club so that you can have them on hand all the time! 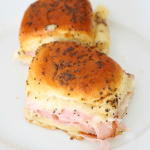 They’re perfect to grab for lunch or dinner! My 3 year old is really getting into chicken nuggets these days. She especially loves Tyson Chicken Nuggets! 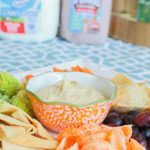 Plus they’re made with 100% all natural ingredients with 12 grams of protein, easy finger food that kids love and are fully cooked for easy preparation. 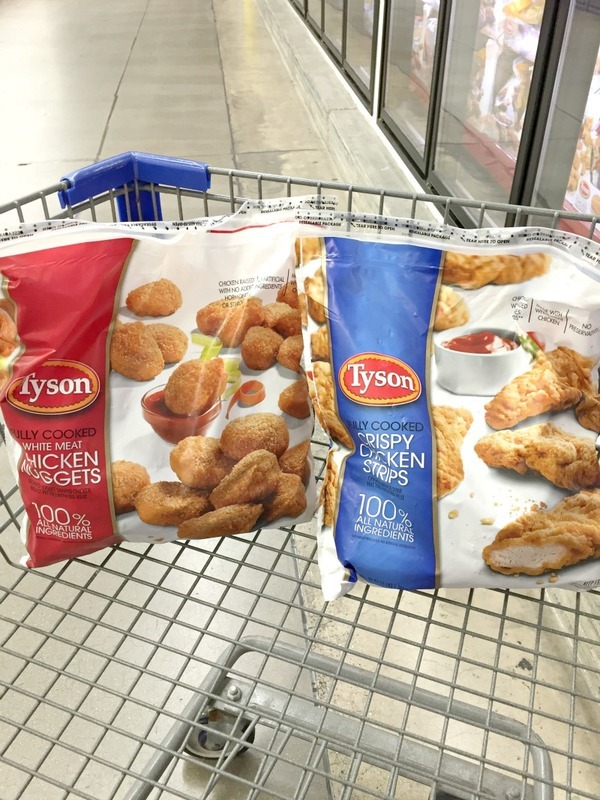 Tyson Nuggets are a great snack, or go to meal. 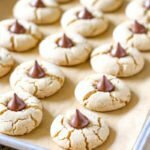 They are always yummy and are ready in a snap! And if you really want a winning meal, pair Tyson Chicken Nuggets with Homemade Mac and Cheese. I can promise that plates will be cleaned! She sure is loving dipping them in ketchup, too! haha! Which Peanuts character is your favorite? Mine was always (and still is) Snoopy. I even used to have a Snoopy phone!